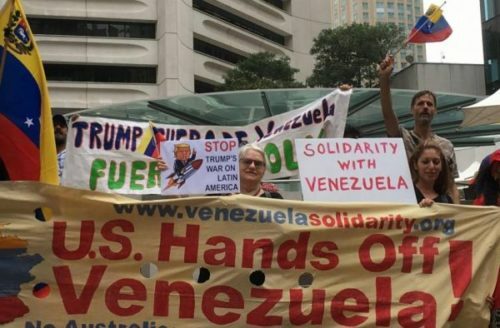 Economic sanctions against Venezuela began under George W. Bush in 2004, continued under President Obama, and the Trump administration escalated them with financial sanctions. United States sanctions cost Venezuela some $6 billion since August, according to an October analysis. Measures against the nation’s oil industry have prohibited the Venezuelan majority-owned company, CITGO, from sending profits back to Venezuela, a $1 billion loss to the government yearly. Now, the Bank of England is refusing to return $1.2 billion in gold reserves after US officials, including Secretary of State Michael Pompeo and National Security Adviser John Bolton, lobbied them to cut Venezuela off from its overseas assets. Guaidó declared that Maduro’s government was illegitimate and he was assuming the presidency. 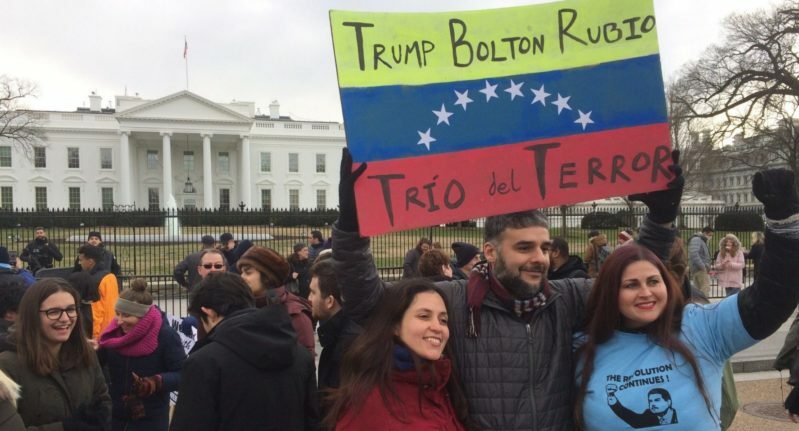 In a well-coordinated charade, almost instantly, Trump recognized Guaidó as the country’s rightful leader. 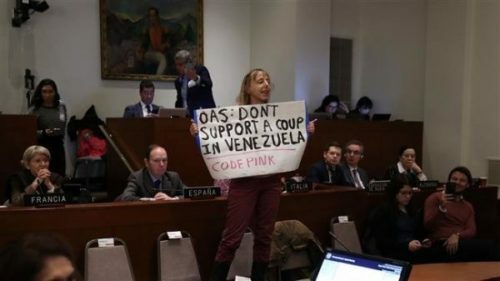 To further demonstrate the preconceived, tightly coordinated and efficiently carried out coup, US allies, among them Canada, Brazil, Argentina, Colombia, Chile, and Peru, quickly recognized the coup president. This article was posted on Monday, January 28th, 2019 at 12:21pm and is filed under "The West", Activism, Canada, Canada's Foreign Policy, Canadian hypocrisy, Cuba, Donald Trump, El Salvador, Elections, Guatemala, Honduras, Nicaragua, Sanctions, United States, US Hypocrisy, US Lies, US Media, US Terrorism, US War Crimes.